The International Equestrian Federation (FEI) Endurance Temporary Committee held its second in-person meeting at FEI headquarters in Lausanne as it continues working on its remit of carrying out an in-depth review of the discipline's rules. 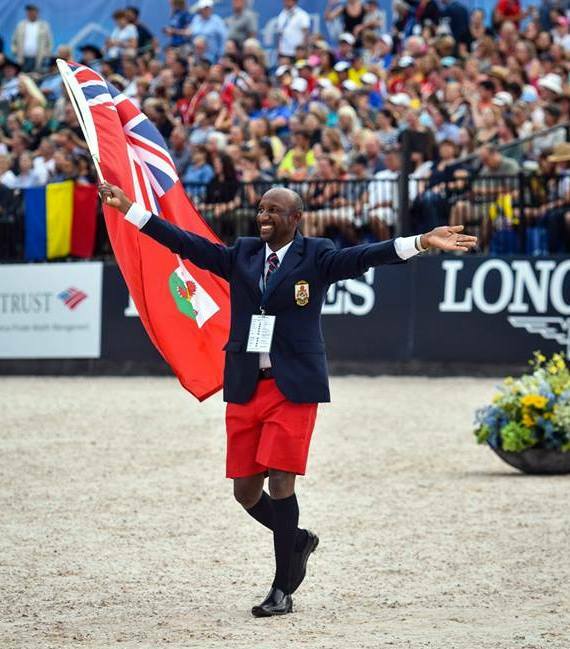 Marvin Brangman who represented Bermuda during the World Equestrian Federation Games is pleased that things are progressing. The Temporary Committee, which was established by the FEI Board in October of last year, has been tasked with bringing the sport back to its original roots of endurance riding rather than endurance racing. FEI President Ingmar De Vos opened the meeting and commended the Temporary Committee members on their dedication, both to the discipline and to the task in hand. Topics discussed included mandatory rest periods, number of entries, staggered starts, crewing outside water points, the appointment and rotation of FEI officials and rules enforcement. "I am really encouraged by the meeting," Great Britain’s Dr Sarah Coombs, the Temporary Committee chair, said. "It was extremely productive and, with the combination of the hugely experienced individuals on the Committee and the input from the community, I feel we have already made and will continue to make strides towards our goal of improving horse welfare in endurance." The Temporary Committee had its first meeting last month and has already received Board approval for a change to the endurance rules. This will introduce the concept of severe injury, with the same sanctions as a catastrophic injury which requires euthanasia.